Good People Make Bad Decisions Request Now! 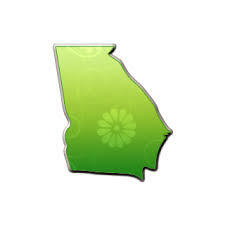 Are you looking for an experienced DUI court attorney in Athens and the greater Athens area? If you have a DUI violation, we may be able to help. John McArthur handles a variety of legal cases including DUI violations. Serving clients in Athens GA. If you are involved in a DUI violation, call our office now! (706) 353-7736 . If you, or a loved one, are in need of professional legal advice please contact the Law Offices of John McArthur for a free case evaluation. John Jay McArthur graduated with honors from the University of Georgia School of Law in 1977, having previously attained a degree in Political Science from Georgia Southern University. John was born and raised on a farm in South Georgia, and grew up harvesting turpentine, working in feed mills, and growing peaches. John began his law practice in Atlanta as a staff attorney in the Legislative Counsel's office for the Georgia General Assembly. He later returned to Athens, where he became a partner in the firm of Nicholson, DePascale, Harris & McArthur. While there, John served as assistant county attorney for Athens-Clarke County. In 1991, he and his wife, Sara, formed the law office of McArthur & McArthur, P.A. Since then, his practice has concentrated in the areas of criminal defense, complex business and civil litigation, and personal injury. John is well respected in the community and by his peers as a thorough and intelligent litigator. 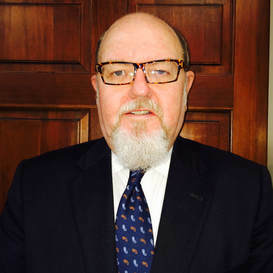 John has 35 years experience defending persons charged with crimes and representing people in civil cases in Federal and State Courts throughout Georgia. He is particularly renowned for his skills in the courtroom--both at the trial and the appellate levels. His areas of expertise include defense of driving under the influence (DUI) cases, drug offenses, and general criminal defense (felony and misdemeanor prosecutions). John has also earned success as a civil, business and personal injury litigator, with many significant verdicts and settlements in his favor. What distinguishes the John McArthur firm from the numerous law firms throughout the state is that we genuinely care about the well-being of our clients. Every client receives hands-on and personalized attention from our attorneys and our staff throughout the entirety of their case.